Why: If Al Gore is right (and he always is) pretty soon we'll be up to our necks in globally warmed ocean water when the Greenland ice sheet and the South Pole melt into the sea. We may be forced to live on the mountaintops but that doesn't mean we won't need to get around, enter the Suzuki Makai Concept. The Chicago Auto Show isn't the first time it's been shown to the public, but it is the first time we've seen it. 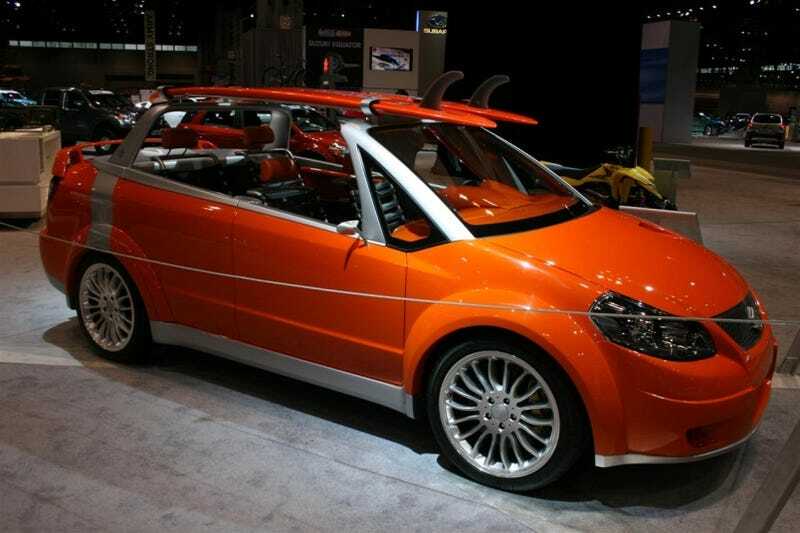 The car is a Suzuki SX4 sedan with the top lopped off, a water proof interior installed and the all important surf boards mounted to the top.